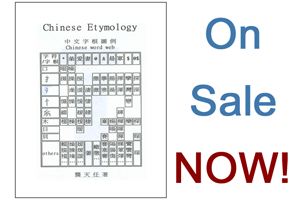 Read through Lesson Two (Chinese Etymology).After reading through the lesson text we understand why Sound Modules are so important; they dictate the phonetics of the entire Chinese language. However, in this assignment we will not be learning the phonetic pronunciation of each Sound Module. For a native Chinese or Chinese-speaking person this verbal portion may come very naturally, but if we do not already speak Chinese this information can be overwhelming and may slow down or hinder our ability to learn and memorize the written portion. Moreover, although the pin-yin provided is from a published Chinese–English dictionary, it is only an approximation of the pronunciation. For this reason, we will focus only on the form, meaning, and logic inference of the Sound Modules. We will also disregard the “child” words (words using the Sound Module as a radical) listed below each Sound Module. We will return in a later assignment to learn these “child” words as well as the phonetics, and audio files will be provided for download and playback. 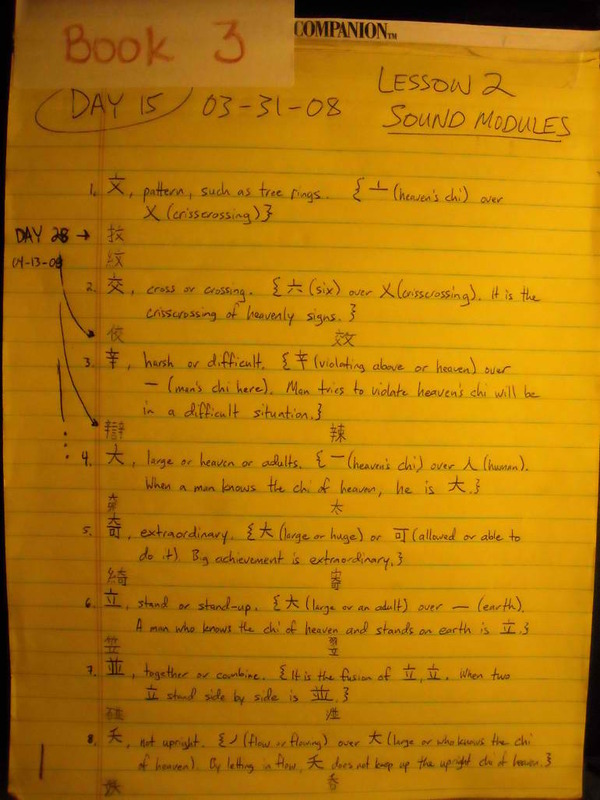 For each Sound Module; write it by hand and try to determine its correct pen-stroke sequence, then write out its meaning and logic inference. Also, leave some space or skip a line for each Sound Module for when we return to learn the “child” words. 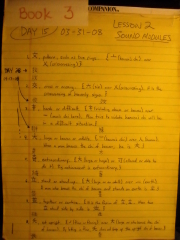 I began Assignment 5 and Lesson Two on March 31, 2008 and I completed Assignment 5 in only three days on April 2, 2008. I was happy to begin learning Sound Modules because it was the first time I got to see how the word roots logic inference really worked and why certain word roots where used to infer a particular meaning! Looking at each of the 300 sound modules was like looking at a scene or picture from China’s cultural past, discovering how the ancient people must have thought and lived. It was very enjoyable for me to imagine living in those times, without the benefits or handicaps of modern technology, when the main focuses were ones of survival. 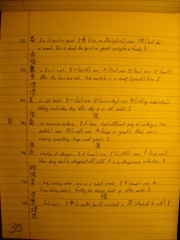 Of course, along with this assignment being extremely pleasurable, I was learning many of the most commonly used radicals in the entire Chinese language and learning several of the radicals that had me baffled during G1 dissection! I decided to skip the learning of the verbal portion of the sound modules for two reasons. One was because it was not outlined in the proposal world record which I was going to claim. 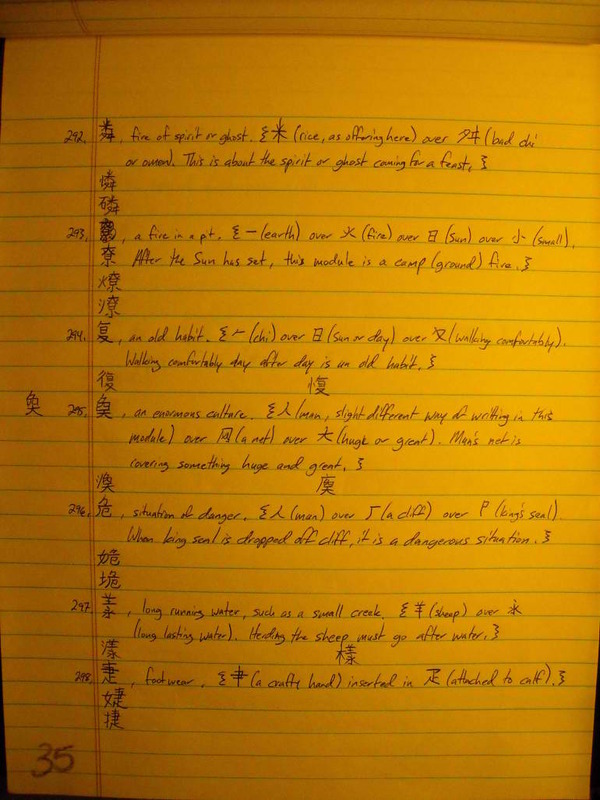 The other reason was because I wanted to prove that the word root system was not only the fastest Chinese learning system ever developed but also that it could be learned “silently” and outside of a Chinese speaking environment (without immersion). This point alone deserves an entire essay, however; it is one that I will write at a later date.